One of the maintenance-free communities in Palmer Ranch that enjoys the best location and easy access to everything is Palmer Square West on Sarasota Square Boulevard. With the Tamiami Trail to the west, Clark Road to the north, and I-75 just a little further to the east, Palmer Square West real estate is easily the better options for owning Sarasota real estate. As a prestigious Palmer Ranch community, Palmer Square West offers beautiful homes set against lush landscaping and spectacular natural vistas. The closely knit community presents Mediterranean inspired townhouse units with price tags that start from the high $200s and go up to the low $300s. The generous floor plans of Palmer Square West condos for sale range between 1800 and 2800 square feet, and the spacious units would have two to three bedrooms. Palmer Square West’s convenient location grants access to one of the best golf clubs in Sarasota: the TPC at Prestancia, which is just a little due east on Sarasota Square Boulevard. The golf course offers 36 holes and varying levels of play situations. In fact, some of the residents of Palmer Square west can see the fairways of Prestancia from their residences. To the north of Palmer Square West, on Beneva Road, is Serendipity Racquet Club. 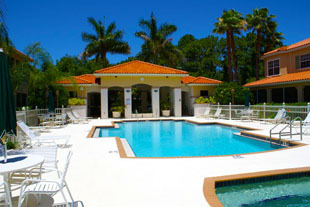 The vast Serendipity clubhouse sits on the grounds of Country Club of Sarasota with its 19 Har-Tru tennis courts, Olympic size heated swimming pools, and ultra-modern fitness center. The club also offers wellness classes, such as Yoga and Pilates, and numerous themed social events throughout the year. Speaking of fitness, the most advanced strength and cardio equipment is offered south of Palmer Square at the Family YMCA on Potter Park Drive. The complex offers basketball and racquetball courts, and several programs and activities for a healthy lifestyle. Kids can participate in ballet, martial arts, gymnastics, competitive swimming, and other sports. Adults can enlist in group exercises, aquatics, and other specialty programs. Of course, what good would living in the best place to retire be if you can’t be near the beach? 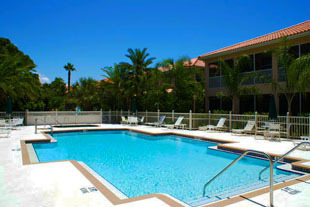 Clarck Road provides quick access to Sarasota’s beautiful Siesta Key and its powdery soft beaches. 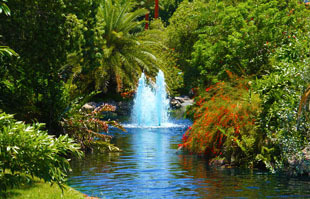 Best known for its crystal white sand, Siesta Key is just a few minutes’ drive from the Palmer Square West community and features a unique and exciting village where art and craft exhibits, eclectic restaurants, and so many great finds are sure to turn up at every corner. These are just few of the many exciting opportunities that come with owning Palmer Ranch real estate.